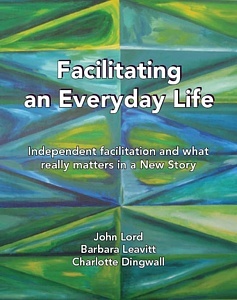 An excerpt from “Pathways to Inclusion: Building a New Story with People and Communities”, a book by John Lord and Peggy Hutchison, to be published in the spring of 2007. This is a comprehensive study of how four projects across Ontario are providing supports to people with disabilities in a unique and personalized fashion. This research study was commissioned by The Individualized Funding Coalition for Ontario and submitted by the Coalition to the Ministry of Community and Social Services on April 7, 2006. Power Point Presentation made to Common Threads; National Conference of the Canadian Down Syndrome Society, May 14, 2005 –Four Key Things Enabling Families to Create Homes: Intention & Understanding; Strong Support Network/Circle; Independent Facilitation & Planning; Flexible or Individualized Funding. Keynote Address given at Creative Supports for Vulnerable Adults Conference, Guelph, Apr. 2005. Vulnerable people often feel powerless. People with disabilities are often isolated. Each person has his/her own unique strengths and needs. Enhancing quality is more about the personal values and principles. Commentary published on Community Living Leaders, Nov. 1, 2004. This article was published in Mental Health Matters, Vol. 14, No.2; Dec. 2001; reflecting on the meaning and value of relationships in our lives.